The beloved Hunger Games franchise will come to a close with The Hunger Games: Mockingjay Part 2, arriving in theaters November 20. While we wait for this highly-anticipated franchise finale to debut, Lionsgate has released two new clips, both of which feature Katniss Everdeen (Jennifer Lawrence). The first scene has Katniss revealing her plan to Johanna Mason (Jena Malone), while the other shows Peeta (Josh Hutcherson) describing his time in Capitol captivity to Katniss. 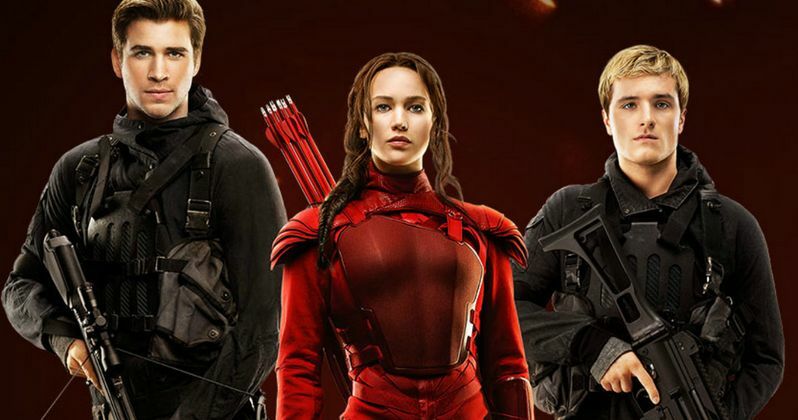 The blockbuster Hunger Games franchise has taken audiences by storm around the world, grossing more than $2.2 billion at the global box office. The Hunger Games: Mockingjay - Part 2 now brings the franchise to its powerful final chapter in which Katniss Everdeen realizes the stakes are no longer just for survival - they are for the future. Tickets are currently NOW on sale for this franchise finale, and if you haven't picked them up yet, you better act fast before your local theater sells out. The Hunger Games: Mockingjay Part 2 is directed by Francis Lawrence from a screenplay by Peter Craig and Danny Strong and features an acclaimed cast including Academy Award-winner Jennifer Lawrence, Josh Hutcherson, Liam Hemsworth, Woody Harrelson, Elizabeth Banks, Academy Award-winner Philip Seymour Hoffman, Jeffrey Wright, Willow Shields, Sam Claflin, Jena Malone with Stanley Tucci and Donald Sutherland reprising their original roles from The Hunger Games and The Hunger Games: Catching Fire. The impressive lineup is joined by The Hunger Games: Mockingjay Part 1 co-stars Academy Award-winner Julianne Moore, Mahershala Ali, Natalie Dormer, Wes Chatham, Elden Henson and Evan Ross. Last year, The Hunger Games: Mockingjay Part 1 was set to reign as the top-grossing movie at the box office, before American Sniper took theaters by storm and pulled off an upset. This year, The Hunger Games: Mockingjay Part 2 will not only go up against current champ Jurassic World, the third highest-grossing movie of all time, but also the most anticipated movie of the year, Star Wars: The Force Awakens. Despite a current dry spell, the end of 2015 could provide some major box office fireworks. While we wait and see how The Hunger Games: Mockingjay Part 2 fares in theaters, take a look at two new clips.